Public Sector Units,Courts, Universities and Banks. Sarkari All Jobs is all about Sarkari Jobs in India. Sarkari All Jobs range over a wide variety of Govt jobs from management trainee. 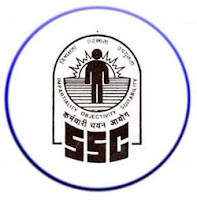 Jobs Details :- Application are invited for the Posts of Sub-Inspector (Executive) in Staff Selection Commission (SSC). Qualifications : Bachelor’s Degree from a recognized University or equivalent. B – Male candidates must possess a valid Driving License for LMV (Motor Cycle and Car) on the date fixed for Physical Endurance & Standard Tests. Male : 260 (UR-167, OBC-35, SC-29, ST-29). Female : 11 (UR-9, OBC-1, SC-1). Age Limit : 20-25 Years..
Pay Scale : Rs.9300-34800/- Grade Pay Rs.4200/- PM . Eye sight: (i) The minimum distant vision should be 6/12 of both eyes without correction i.e.without wearing of glasses and the candidate shall be free from colour blindness.1) (ii) The candidate must not have knock knee, flat foot, varicose vein or squint in eyes and they should possess high colour vision.iii) They should be in good mental and bodily health and free from any physical defect likely to interefere with the efficient performance of their Police duties. Application Fee : Payable through SBI Challan or through SBI netbanking. Fee is exempted for all Women candidates and candidates belonging to Scheduled Caste, Scheduled Tribe and Ex-Servicemen eligible for reservation. Part-I Registration: Up to 5.00 PM on 04.07-2012. Part-II Registration: Up to 5.00 PM on 06.07-2012. Jobs of Technician,Clerk in Eastern Railway-New Jobs 2012-- sarkari all jobs. Jobs of Section Engineer,Junior Engineer in North Western Railway-New Jobs 2012-- sarkari all jobs. Jobs of Section Engineer, Junior Engineer, Technician in Southern Railway-New Jobs 2012-- sarkari all jobs. Jobs of Junior Engineer, Technician in Integral Coach Factory-NEW JOBS 2012-- sarkari all jobs. Jobs of Junior Stenographer, Commercial Clerk,Teacher, Junior Engineer in South Eastern Railway- NEW JOBS 2012-- sarkari all jobs. Jobs of Junior Engineer, Senior Section Engineer, Traffic Apprentice in North Eastern Railway-New Jobs 2012-- sarkari all jobs. Jobs of RRB Gorakhpur and Jannu & Srinagar and therefore, last dates is also extended new jobs-- sarkari all jobs. Jobs of Assistant Manager, Rural Development Officer,Law Officer in Union Bank of India- New Jobs 2012-- sarkari all jobs. Jobs of Clerk in Abhyudaya Co-Operative Bank Limited-new jobs 2012-- sarkari all jobs. Jobs of Probationary Clerks in South Indian Bank Limited--Andhra Pradesh- New Jobs 2012-- sarkari all jobs. Jobs IDBI Bank Limited Executive on contract basis different Branches and Offices-New Jobs 2012-- sarkari all jobs. Jobs Officer in Bank of India- NEW JOBS 2012-- sarkari all jobs. Jobs Officer Cadre in Oriental Bank of Commerce-OBC Haryana-NEW JOBS 2012-- sarkari all jobs. Job of Clerks in Indian Overseas Bank-A Govt of India Undertaking jobs 2012-- sarkari all jobs. Bank of Baroda JOBS-BOB All India Recruitment--june 2012-- sarkari all jobs. jobs Chartered Accountants and Chief Information Security Officer -CISO in Punjab & Sind Bank-PSB--May 2012-- sarkari all jobs. jon in Institute of Banking Personnel Selection (IBPS)Rural Banks Officer--May 2012-- sarkari all jobs. JOB IN IDBI BANK Ltd, a banking company under the companies act,1956. DENA BANK INVITES APPLICATIONS FROM INDIAN CITIZENS FOR APPOINTMENT IN CLERICAL CADRE POST. Rajasthan Gramin Bank RECRUITMENT FOR THE POST OF JUNIOR MANAGEMENT OFFICE SCALE-1 & OFFICE ASSISTANT (MULTI- PURPOSE). jobs in Widows of Defence Personnel in Indian Army 40th SSC-Technical,11th SSC-Technical-new jobs 2012-- sarkari all jobs. Jobs Assistant Commandants in Union Public Service Commission-UPSC-new jobs 2012-- sarkari all jobs. Jobs of 43rd SSC Meteorological,27th SSC Meteorological in Indian Air Force-new jobs 2012-- sarkari all jobs. Posts of Civil Judge-Junior Division in Uttarakhand Public Service Commission-UKPSC-new jobs 2012-- sarkari all jobs. jobs of Veterinary Graduates (SSC) in Directorate of Advertising & Visual Publicity-Indian Army-new jobs 2012-- sarkari all jobs. Jobs of Examiner, Wild Life Inspector in Staff Selection Commission-SSC Eastern Region-New Jobs 2012-- sarkari all jobs. Jobs of Auditors, Junior Engineer in Haryana SSC June 2012-- sarkari all jobs. Jobs Assam Staff Selection Commission (SSC)Month of JUNE-- sarkari all jobs. Jobs All India Staff Selection Commission (SSC)Month of JUNE-- sarkari all jobs. jobs of Sub-Inspector (Executive) in Staff Selection Commission (SSC)--june 2012-- sarkari all jobs. Jobs of Inspector,Assistant Sub Inspector, Constable in Indo Tibetan Border Police Force -ITBP- NEW JOBS 2012-- sarkari all jobs. Jobs of Civil Judge,Judicial Magistrate Preliminary Examination in Maharashtra PSC-NEW JOBS 2012-- sarkari all jobs. Jobs in Indian Army Lower Division Clerk- NEW JOBS 2012-- sarkari all jobs. Jobs of Special Branch Assistant in Kerala PSC-NEW JOBS 2012-- sarkari all jobs. Jobs of Stenographer in Kerala PSC-NEW JOBS 2012-- sarkari all jobs. jobs of Veterinary Graduates (SSC) in Directorate of Advertising & Visual Publicity-new jobs Indian Army-2012-- sarkari all jobs. Jobs of Assistant Public Relation Officer in Rajasthan PSC- New Jobs2012-- sarkari all jobs.